This is a new series of historical paintings! I am doing them in black and white with sepia glazes. I really like how the tonalist approach makes them feel so Ancient. My Artstic thought was that a retro painting done impressionisticly can make a great statement about Art itself. 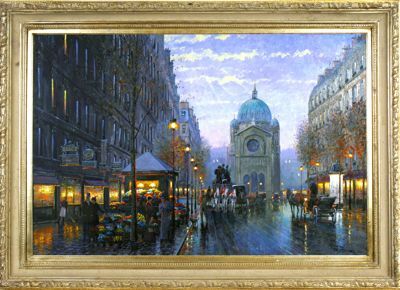 The time impressionism was first imagined was the same time photography was invented. 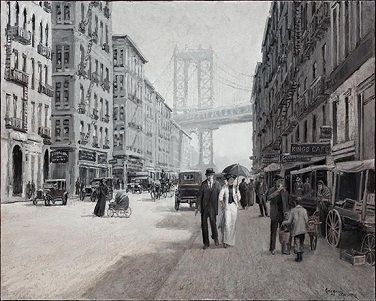 To people in that era, reality was a black and white photo. By doing a painting that at first glance looks like a photo, I am asking the old question in a new way, What is Art? Gregory Sievers has mastered portraying light with paint. Oils naturally lend themselves to this effect but having gessos and changing the thickness, Gregory has truley pushed the effect into a dimension all his own. Be sure to visit him this winter at the Celebration of Fine Art where he will be demonstrating this technique. January 15th through March. Contact us for free entrance passes. 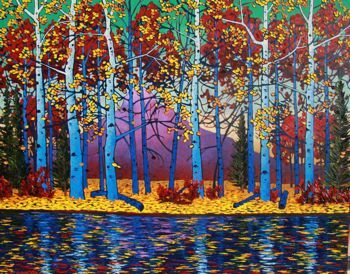 "Reflecting Aspens" - 48x60 - $5900 Other new works can be seen at Matthew's personal website www.matthew-sievers.com . Painted on a deep venetian red that ties the color pallet and makes the thick oils sing in low light.